Everyone knows we’re being tracked. You leave a trail with credit cards, cell phones, cookies and social media. Cameras take pictures at traffic lights.Auto dealers hide GPS devices on the cars they sell. Even U.S. passports have a chip embedded in them. But in the Old West, in the days of the horse and buggy – mainly because of the horse and buggy – it also was easy to track people. People back then left tracks, the old-fashion kind. 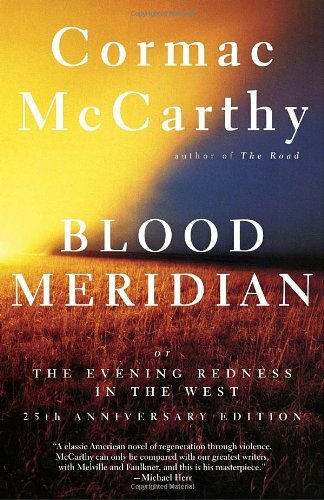 I point this out after reading Cormac McCarthy’s 1985 novel, “Blood Meridian or the Evening Redness in the West.” In it, a band of characters travels endlessly across vast expanses of plains, desserts and mountains. They always seem to find each other. Their enemies always seem to find them, and they their enemies. There are some major skills involved here, as Cormac suggests. But the basics are hard to miss. In today’s times, we forget about giveaways like smoke from a cook fire, dung and urine from animals and humans, the simple imprint of foot, hoof and wheel. Either way, it’s pretty much a sure thing that after crossing the dessert everyone is going to end up at the well or creek. A great place to wait for your prey. While it is frightening to think that today’s phones reveal where we are and where we went, it’s also a scary thought that you could ride or walk for days and nights, in the heat and cold, possibly without water and food or even clothes, across the harshest terrain, and the person trailing you will find you and kill you in the most brutal fashion. This lesson, among others, I learned from Cormac McCarthy and the book they call his masterpiece. 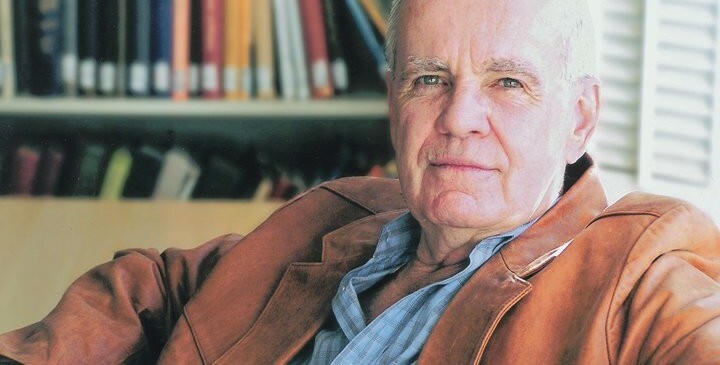 If you don’t know McCarthy from his many novels – almost all of them filled with horrific violence – then you might know him from the films made from his books. 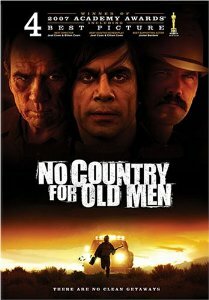 Perhaps the most famous is “No Country for Old Men,” which in 2007 won the Academy Award for Best Picture. Some see McCarthy as the equal or near equal of Faulkner. While I was amazed by “No Country for Old Men,” I’m embarrassed to say I had overlooked McCarthy, then and even after. I only came to know him after briefly watching a so-so TV movie with an unfamiliar name – one I don’t even remember — and hearing several pieces of brilliant dialogue. I admire a good sentence and these were unlike anything I’ve heard on TV – with the possible exception of “True Detective.” They came from deep within some dark, mysterious, knowing soul. If you read it, or even just look at it, you’ll notice some things right off. First, there are no quotation marks (even when there are quotes). Cute, but only idiosyncratic. Next, there are all these words you won’t understand because they are archaic and rarely appear anywhere. Doubly troubling are the passages in un-translated Spanish – the common tongue of Cormac’s characters, who are American, Mexican and Native American. But the most obvious and disturbing thing about McCarthy is the violence. Nearly every page is covered in blood. I recall thinking that while the writing was terrific, the plot line had to come from a thoroughly sick and disturbed mind. Then I began to listen closer to the tone, attitude and motif phraseology of his characters. I came to realize this was not made up. This was all true. It was history, and the writer must have relied heavily on journals and first-hand accounts. The majority of the narrative follows a teenager referred to only as “the kid,” with the bulk of the text devoted to his experiences with the Glanton gang, a historical group of scalp hunters who massacred Native Americans and others in the United States–Mexico borderlands from 1849 to 1850 for bounty, pleasure, and eventually out of sheer compulsion . . . .
. . . McCarthy conducted considerable research to write the book. Critics have repeatedly demonstrated that even brief and seemingly inconsequential passages of Blood Meridian rely on historical evidence. 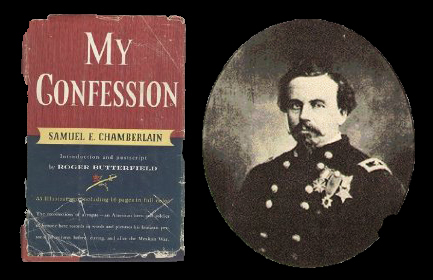 The Glanton gang segments are based on Samuel Chamberlain‘s account of the group in his memoir My Confession: The Recollections of a Rogue, which he wrote during the latter part of his life. Chamberlain rode with John Joel Glanton and his company between 1849 and 1850. Unlike many people, I try not to look for meaning in creative work. Beauty alone is enough for me, and “Blood Meridian” is beautiful. The best art is an open presentation of depth that allows the consumer to add the meaning. It really doesn’t come with it. Still, my favorite parts of the book are the philosophical pronouncements of the character known as “the judge.” I sense he sounds a lot like Cormac McCarthy at a cocktail party. The judge accepts violence. In total, what the book does for me is calm my frustration at man’s inhumanity, convincing me – if only for a short time – that violence is NOT inhuman, but rather perfectly and intrinsically human. I’ll end with a passage and invite comment.